The couple dressed up as Mr and Mrs Claus for the occasion. 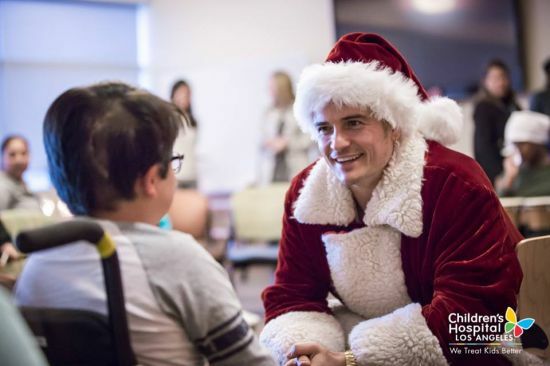 Katy Perry and Orlando Bloom have been helping sick children at a Californian hospital celebrate Christmas a few days early. 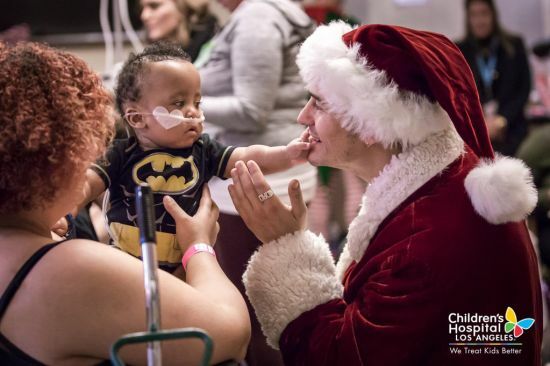 The couple headed to Children's Hospital Los Angeles dressed in Santa and Mrs Claus outfits - no beard, but then we guess that would have defeated the point if the kids had thought they were really Christmas's First Couple. 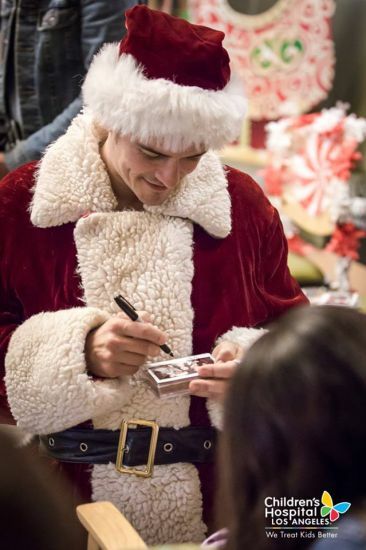 They did some (we assume pretty high-quality) carol singing and mingled with parents and children afterwards, posing for some really sweet pictures with the youngsters undergoing treatment in the lead-up to Christmas. One mum, Karen Bautistaa, captioned a picture of her daughter and the celebrity couple: "She doesn't know it yet, but she just crossed off my bucket list." A teenager called Ariadna Thau shared her Polaroid on Instagram, showing the couple leaning in towards her and wearing surgical masks. 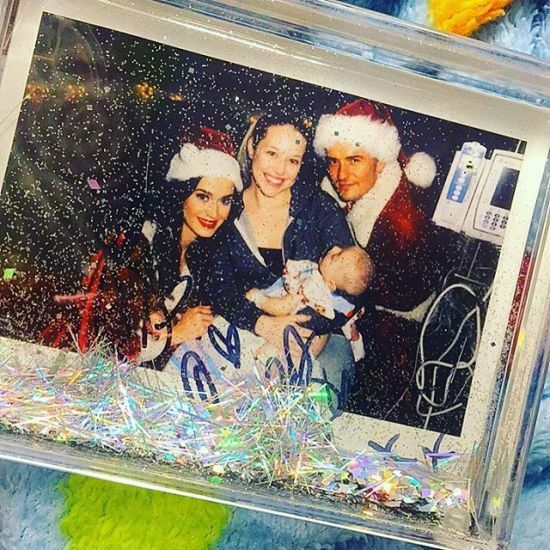 Another mum called Kaitlin Bell captioned her picture of herself with her baby: "Katy Perry and Orlando Bloom came an sang us Christmas carols. It was so beautiful. I'm so very thankful an we got news we get to go home tomorrow." Yesterday Katy teased some new music we can expect from her - and British breakout producer Jonas Blue has revealed he is in talks to work with the singer. So although we missed out on the carols, it seems there'll be some new Katy Perry music with us soon. 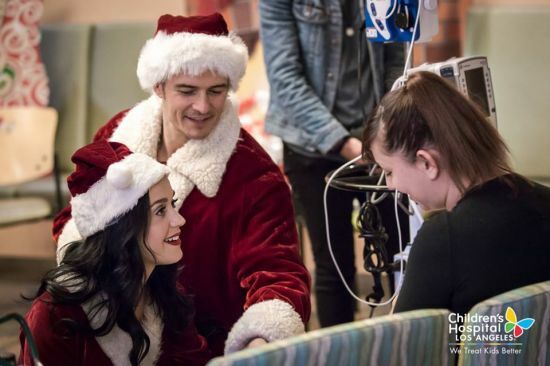 How sweet and kind of Orlando and Katy. Marvelous, beautiful pictures and a wonderful story. Thanks for providing, Rene. 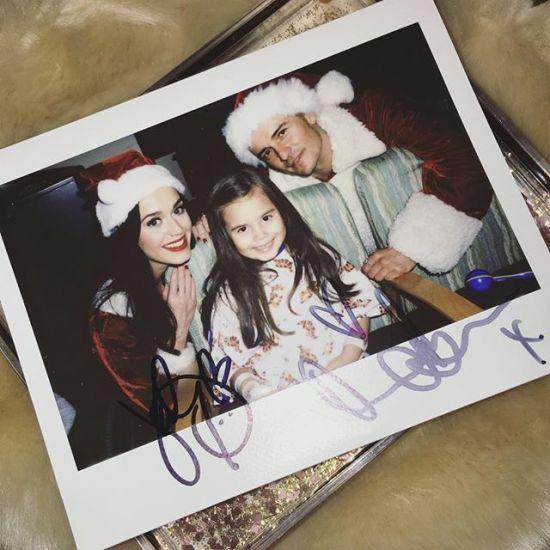 A big "thank you" to all those who shared their pictures, and to Orlando and Katy for giving of their time and talents to these very deserving children and young people.. 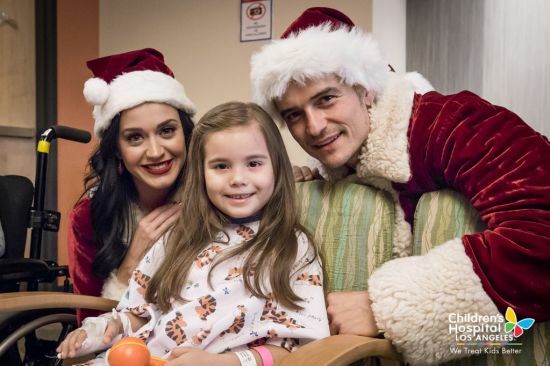 I am all emotional right now after looking at all these beautiful pictures of Orlando & Katy with these precious children. They have got the biggest hearts. 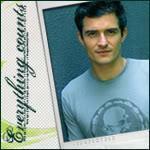 Thank you so much Rene for posting these wonderful pictures with us. Beautiful pics. Wonderful to see them interacting with the kids and looking so happy. He has always been so generous with his time.